After thousands of Mahoning Valley area schoolchildren penned letters and drew pictures destined for GM CEO Mary Barra, the top executive at the automaker responded. 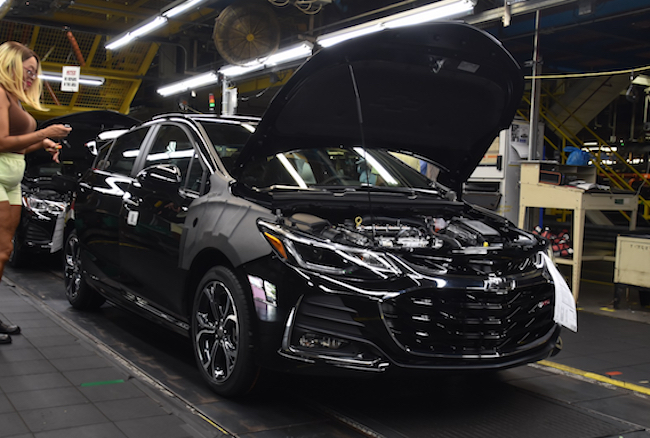 The Vindicator reported Wednesday that GM CEO Mary Barra wrote a response to the numerous letters and pictures she received from schoolchildren affected by the automaker’s decision to idle (and likely shut down) the Lordstown assembly plant in Ohio. “Thank you for sharing your thoughts and your pictures with me. I see how much you care about your family, friends and community, and I understand why you are sad and worried. I want you to know I care about them, and about you,” Barra’s letter reads in part. The letters were part of a campaign that local superintendents and the children themselves came up with. The Drive It Home Ohio grassroots organization commended the move and also thanked Barra for her response. James Dignan, Drive It Home Ohio co-chairman, said the letters had their intended impact. Terry Armstrong, superintendent of the Lordstown School District, said the district spoke with a GM spokesperson and confirmed Barra received every letter and picture. Someone at GM looked at every single one, the spokesperson said. Barra explained to the schoolchildren that GM plans to support their families as the plant’s work winds down. She reiterated the commitment to transfer them to other production plants. Yesterday, GM said it will add 1,000 new jobs at its Flint, Michigan, assembly plant for 2020 Silverado HD production. Laid-off workers at idled plants will receive priority for the positions. “We’re also partnering with the United Way in your neighborhoods to help families who decide not to relocate to another GM plant,” Barra added. The Lordstown plant will go idle this March, but GM will need to negotiate its closure with the UAW. The current labor contract with the union expires this September. How condensending and patronizing. Barra could care less about Lordstown’s workers let alone their children. The part about the United Way is especially condensending. For a company that made billions to tell employees to be a lode on a charity is dispicable. Why didn’t Barra also include a list of soup kitchens, food pantries and homeless shelters why she is at it? For any employee not taking a paid transfer and a job in another shop, they deserve directions to the soup kitchen. 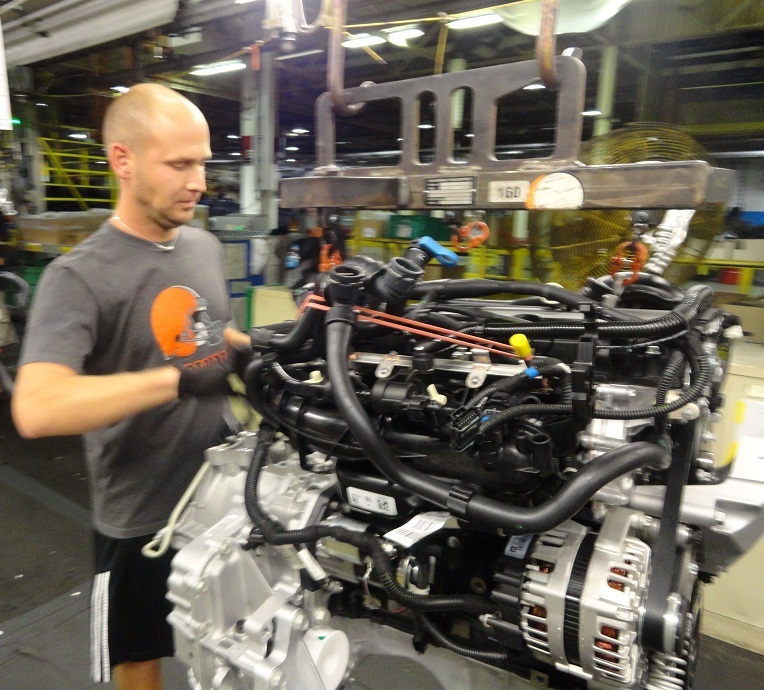 All but 100 employees could have a job if they picked up and left the boondocks that is Lordstown. I’m sorry your parents are losing their jobs and your lives are being disrupted and destroyed but I’m thrilled to share that there are new GM jobs down in Mexico if they’d like to go there and work for $3.26 per hour. Alternatively, we are now sourcing Buicks and Cadillacs in China so new jobs have been created there that pay up to $5.19 per hour. That’s nearly $6,700.00 per year your parents could make in Mexico and over $10,700.00 for China. GM is proud to offer transfers to any affected workers at Lordstown, including to your family. I know the decision to relocate to one of these locations will be difficult but in order for me to keep my $22,000,000.00 salary for this year, this painful decision was, unfortunately, necessary. Rest assured I am fully committed to making this transition as painless as possible and I have arranged for representatives from the US Postal Service to be on site all week at Lordstown to assist with address changes. That’s how much I care about all of you kids! What a joke when Machete Mary says she cares about the children or that someone looked at every one of the letters. Right- perhaps the janitor did when he was emptying the unopened letters from the garbage can. What does Machete Mary know about being sad or worried? This is a case where she would have been better off ignoring the letters. Sure she would still come across as greedy and heartless, but at least she would not come across as a liar. When Barra talks I hear Charlie Brown’s teacher, “Wah Wah”. After a decade of buying German made cars I realized that I wanted to support American jobs and bought a Chevy truck in 2017. I love it. I wanted a vehicle from the big 3 with a history of hiring American workers and to feel that America can compete. I don’t understand why GM shies away from playing up their American roots. Look at Subaru’s feel good advertising, even when they are sourcing a lot of cars from Japan. I think GM’s management especially Barra has grossly misjudged a number of important issues like layoffs and vehicle interior design (think GM pickups). Come on GM, smarten up, America deserves better. Really sad & shamful but she doesn’t care , “oh no ones buying cars anymore “excuse” is played out ,make a car worth purchasing an watch sales sky rocket gm doesn’t try anymore rather make they’re pockets deep & US American works suffer at there greed.